Ron Barcelo Imperial is a rum that I have been destined to obtain a bottle of since I was first given a taste of it by Keith at Corks Out in Timperley. I had arrived to pick up a bottle of Gosling’s Black Seal (I also left with a bottle of Chairmans Reserve which will be reviewed later) and was given a taste of Barcelo Imperial. This was probably my first taste of a really good quality sipping rum and it showed. I was amazed by the toffee flavours and the smooth finish and knew that at some point, there would be a bottle on my shelf. Anyway, a little background. Ron Barcelo was founded by Julian Barcelo, a native of Mallorca. He arrived in the Dominican Republic in 1929 and the company, Barcelo & Co. was founded in 1930 in Santo Domingo. It did not take long for the Barcelo brand to become an essential reference amongst local Dominican rum brands, and it soon grew into one of the largest and most prestigious Dominican companies. 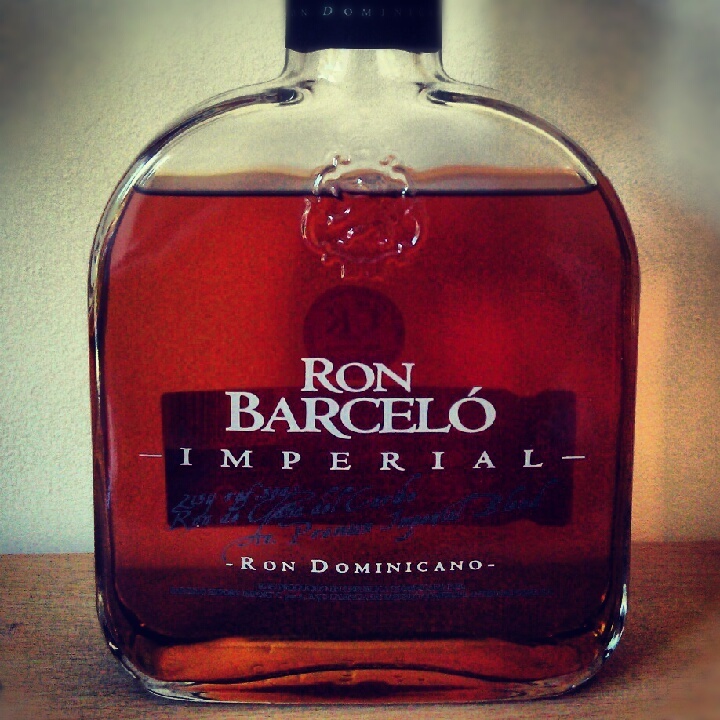 During the 1980’s, Ron Barcelo became the most popular rum brand in the Dominican Republic. Exports grew and the company began distributing outside of the Caribbean and America. In 1992, the company began an international campaign and by 1994, Ron Barcelo was exported to over 10 countries, with its biggest consumer being Spain.In 1980, Miguel Barcelo created Ron Barcelo Imperial. Two decades later, the rum was awarded the distinction of being the best rum in the world, achieving 97 points out of a possible 100 in the Beverage Tasting Institute of Chicago Awards, the highest score in the awards history. In the glass: A deep mahogany colour with flashes on gold and red. Swirling the rum in the glass releases toffee and sweet brown sugar aromas, but the rum doesn’t smell overly sweet. There is also the slightest hint of oakiness, but this is not too heavy. The rum doesn’t smell overly complex. In the mouth: On the first sip, there is a nice light sweetness to the rum initially and a touch of oaky bitterness. The sweetness coats your mouth with toffee flavours but is not too chewy. The rum has a medium to long finish with just the right amount of warmth to make you long for more. I found the bitterness to be a little overwhelming at times and the oakiness can at times give it a bourbon quality, but there is enough viscosity and sweetness in the rum to coat your tongue and provide the enjoyment long after the bitterness has subsided. Drinking a few glasses over the course of an evening, I found that the longer the rum sits in the glass, the sweeter it gets, so I would suggest giving the rum time to sit and breathe before starting to sip. Mix with nothing. This rum is too good for that. Add a cube of ice if you have to, but it really doesn’t need it. This is the first rum that grabbed my interest and really got me interested in both for the taste and the history of the product, and therefore I am maybe a little biased as it holds a special place in my collection and is never too far away from my glass. It’s beginnings are seemingly arrived at by chance and it is one of the more interesting tales. William Gosling, a London Wine & Spirit Merchant wanted to expand his business by opening a shop in the Virginia’s. Not wanting to take on the journey himself, in the spring of 1806 William chartered the clipper, Mercury to make the journey. On board was his son James and a cargo of more than £10,000 of wines and spirits. The journey was not a successful one and after 91 consecutive days of calm seas, the charter of the Mercury ran out. The ship eventually made port in St. Georges on the island of Bermuda where James was unceremoniously dumped. Realising that there was no-one in the wines & spirits business in Bermuda at that time, and that the British Navy frequently used the port, in December 1806, James applied for a licence to sell alcohol and opened a shop on King’s Parade in St. Georges. In 1824 James returned to England and his brother Ambrose moved the business to Front Street in what was the new capital, Hamilton. In 1857 the firm was renamed Gosling Brothers by Ambrose’s sons. Three years later the first oak barrels of rum distillate arrived in Bermuda and three years after that (after much trial and error) the distinctive black rum destined to be Black Seal was formulated and offered for sale. 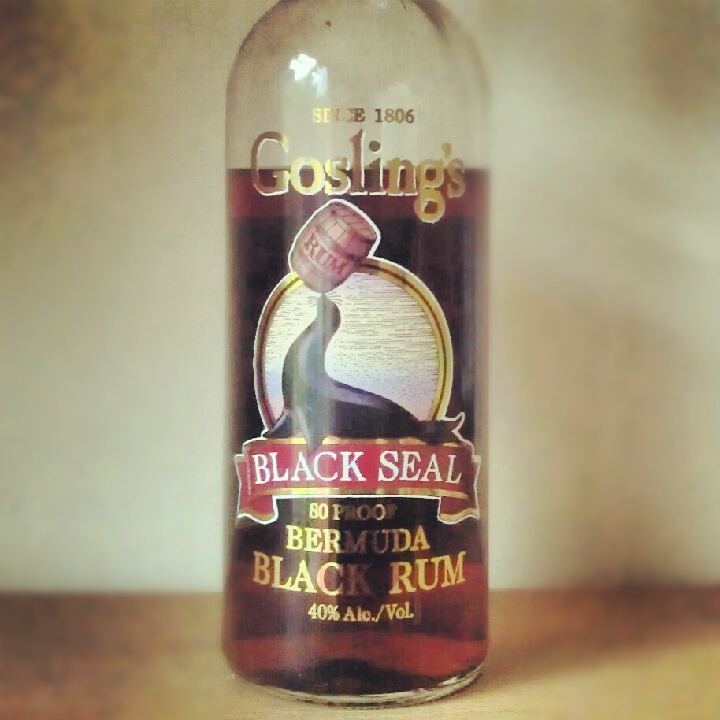 The rum however, was not called Black Seal at first. In fact, up until the First World War it was sold straight from the barrel, and most people brought in their own bottles to be filled up. Eventually the black rum was sold in champagne bottles, reclaimed from the British Officer’s Mess, and the corks were sealed with black sealing wax. Soon people began to ask for the bottle with the “Black Seal”. Years later the idea of the now legendary barrel juggling “Black Seal” was born and to this day, Gosling Brothers Limited remains the oldest surviving business in Bermuda and is still a family concern, 8 generations later. Gosling’s Black Seal is made from a recipe dating back over two centuries and comprises of independently aged distillates, aged in used, charred, American oak bourbon casks. 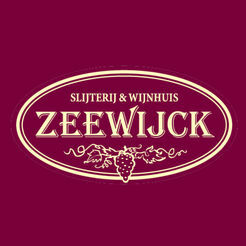 The flavour is the result of a blend of aged pot and continuous still distillates. In the glass: Immediately there is a deep dark amber colour to the rum with deep red hue, quite foreboding. A swirl of the rum in the glass shows long, thin, slow-moving legs and also releases an enticing aroma of caramel and burnt sugar into the air. There is also an almost fruity sweetness that reminds me of baked apples. After the alcohol has dissipated, there is a warm caramel and burnt sugar aroma with a hint of oakiness. 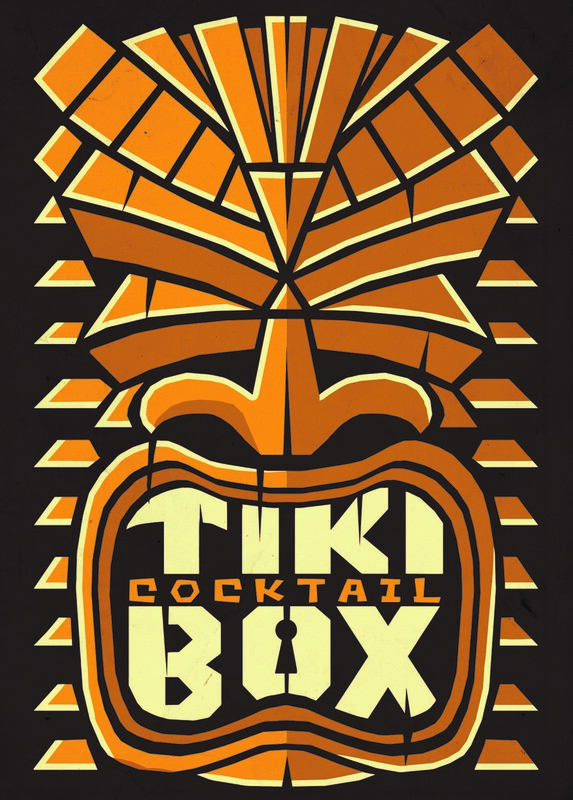 In the mouth: The rum is not too sweet as it enters your mouth and there is a definite tingle on the front of my tongue with a warmth spreading around my mouth. I can taste caramel, burnt sugar and butterscotch with just a tiny hint of bitterness. The rum is quite dry and that leads me to take another sip. The bitterness that I first tasted has shown itself as more of an oakiness now but it does not overpower the caramel and butterscotch flavours. There is a light spiciness at the back of my mouth and the finish is long, warm, spicy and clean. I do not normally drink Black Seal neat. Instead I prefer to mix it with cola at about 50/50 adding plenty of ice and a few lime wedges. There is no hint of the oakiness and the caramel and butterscotch work amazingly well with the cola and lime. 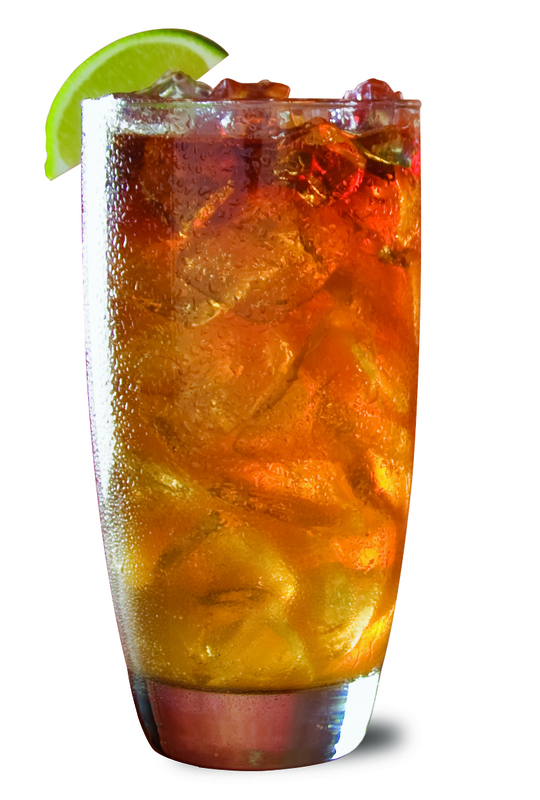 Of course, Black Seal has its place in history as being the key ingredient in the original Dark ‘n’ Stormy. Add plenty of ice cubes to a glass, 75ml of Ginger Beer and 50ml of Black Seal. Finish with a wedge of lime.